Traditional video walls are complicated, expensive and often turn out to be limited in their capabilities. 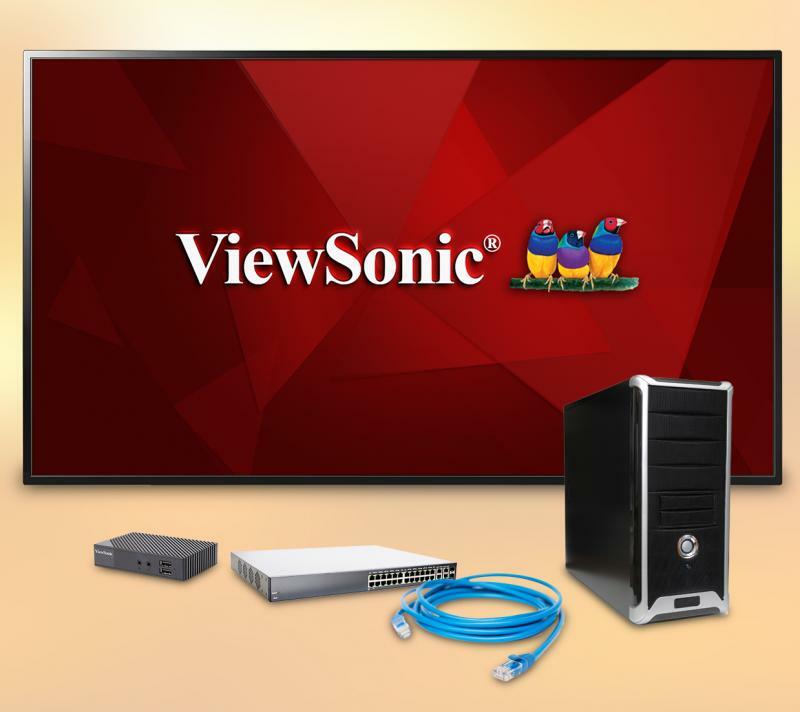 ViewSonic® changes this. 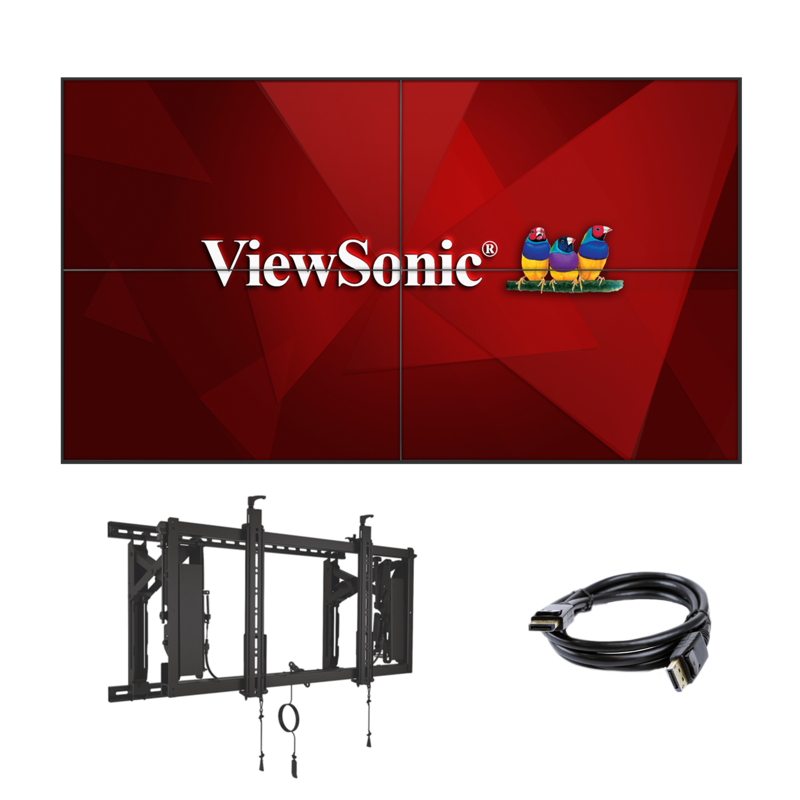 Featuring Userful® software and a ViewSonic® zero client media player, the ViewSonic® Ultimate Video Wall Controller solution delivers video walls that are simple, flexible, and stunning. 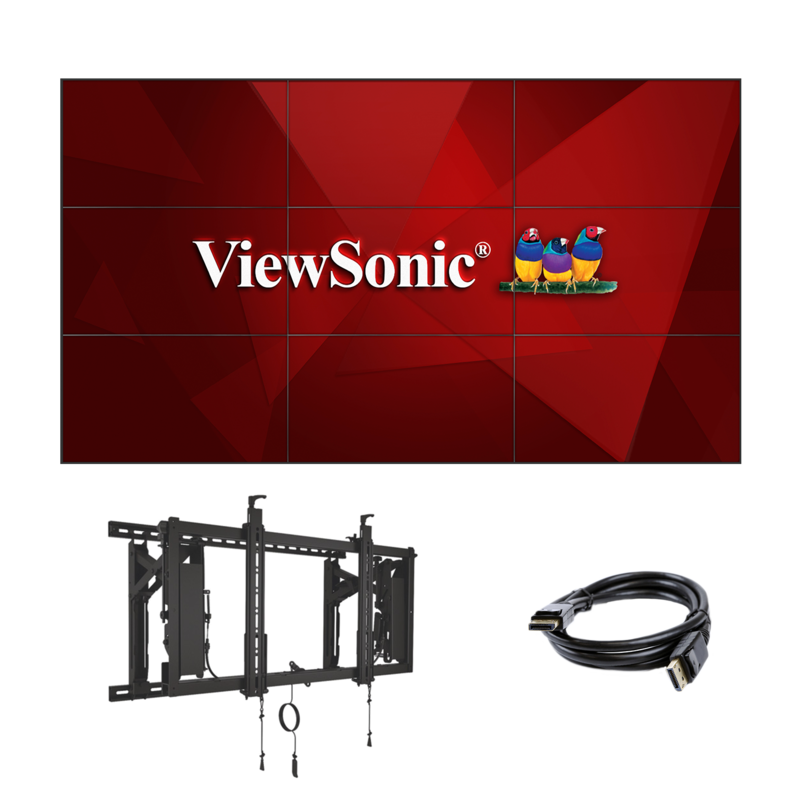 More than just delivering video on a video wall, this solution supports 4K and higher content, as well as live TV, a full-screen web browser, or even a desktop displayed across the entire canvas, or placed on a specific zone within the video wall. It’s all delivered in real-time over a standard Ethernet network, providing unparalleled flexibility. 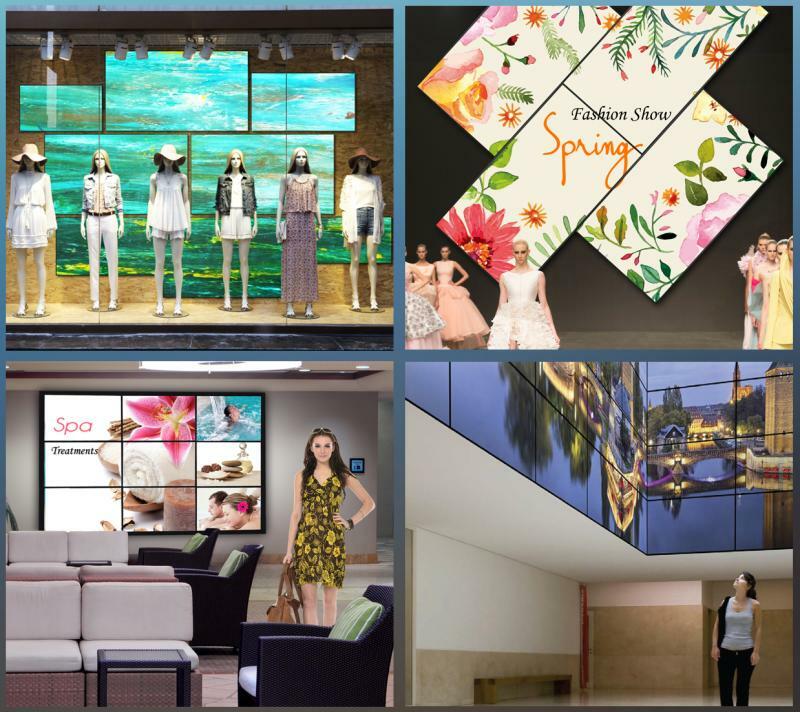 Arrange video walls in any orientation allowing for traditional matrix grid-style layouts, or eye-catching free-flowing artistic layouts with individual displays rotated to any angle. 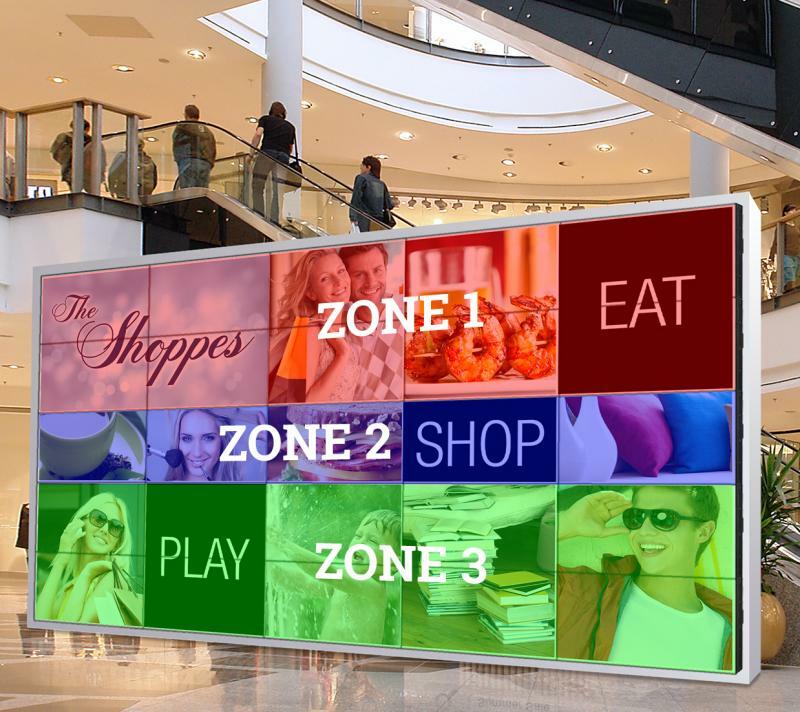 Deploy video walls for retail stores, lobbies, museums, restaurants, stadiums, meeting rooms, broadcast centers, banks, customer service points, control rooms, and beyond. The SW-036 solution comes with basic support and advanced subscription plan, free for 12 months. 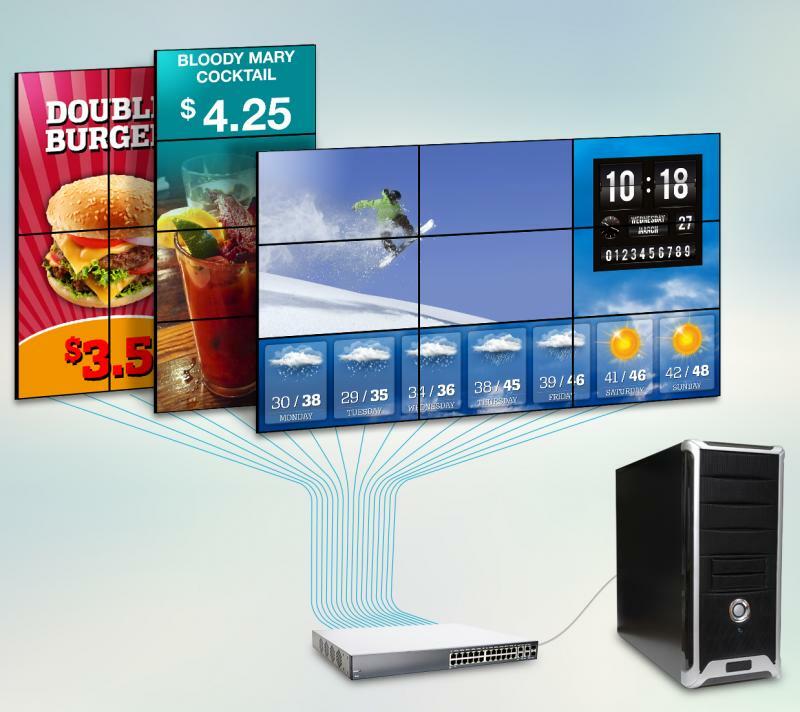 Deliver brilliantly rendered video walls using familiar, industry standard components including displays, zero clients, network architecture and the host PC. Through the use of standard components, the Userful solution offers video wall delivery at an unprecedented level of simplicity and low cost. The Userful solution enables real-time video stream splitting of any type of content along with the ability to fully leverage the power of a single PC/server over a standard network – while delivering outstanding image quality and synchronization on up to 60 displays. In addition, automated PC/server failover is available. With zero client devices located on the displays, the video wall server can be placed anywhere in the building, allowing for significantly more design and placement options. What’s more, create a video wall with up to 60 displays in a standard grid formation, as well as in an ad-hoc artistic mosaic formation. Display content from one of the pre-integrated CMS or from any CMS using HDMI capture. Content can be easily set up and controlled via a smart phone or tablet with the integrated drag-and-drop, browser-based management tool. Virtually any content type is supported, including managed content, real-time content, or interactive content. Supporting an unlimited number of pre-set zones, the Userful solution enables the display of simultaneous content streams on specified displays within a video wall. Users can define zones as a single display or a group of displays; can establish as many zones as required; can switch between zones quickly and easily; and change content/zones on the fly as needed. Use a phone or tablet as a remote control to quickly and easily switch between multiple content sources preset by the video wall administrator. 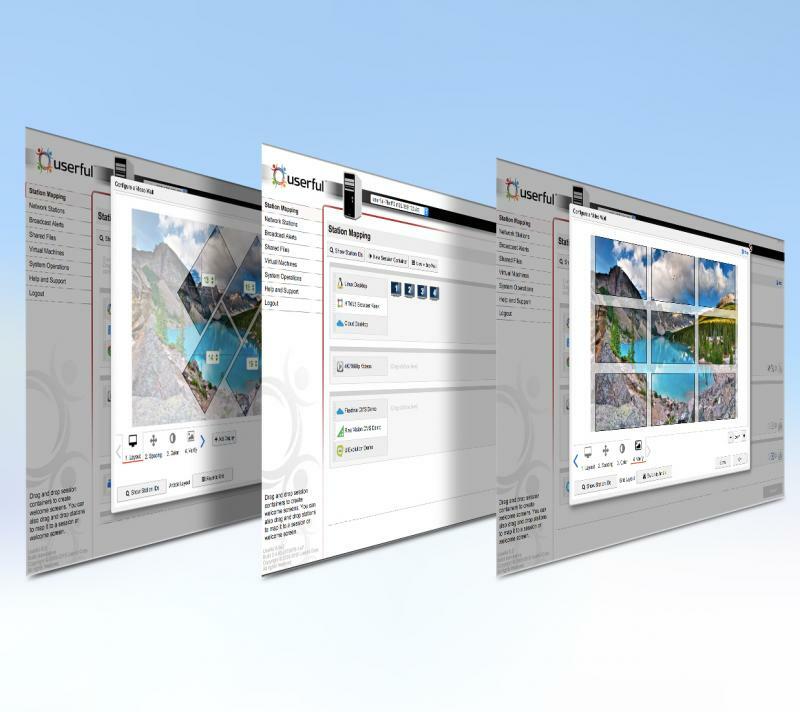 A mirror feature makes it easy to synchronize content across multiple displays or video walls, allowing the same content to play at exactly the same time. Optionally add one or more HDMI capture cards, allowing input of nearly any source content. Control standalone digital signs, touch kiosks, or desktops, all from the server that supports the video wall. Add virtually unlimited content inputs from nearly any external source such as real time camera feeds, live TV, laptops or PCs, network streaming, satellite TV, media players, USB keys, multiple HDMI & SDI inputs, DVD, Blu-ray, gaming, etc.